We bring the framing gallery to your business or home. With this more personal one-on-one approach, we work together to coordinate the mat and frames to suit décor of the office or living space. 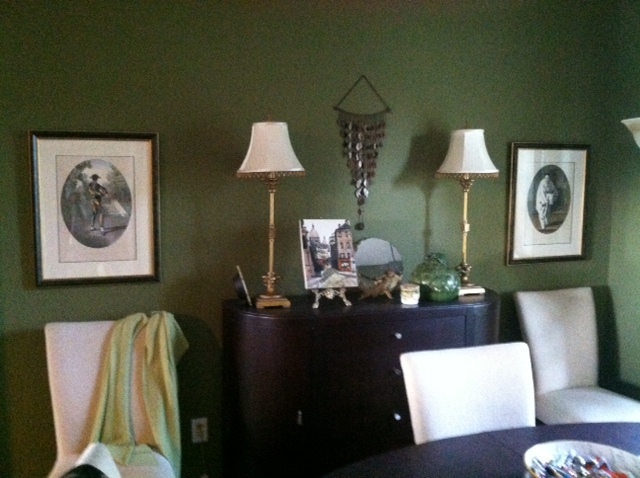 Seeing the samples in your own home allows you to experiment with frames and colors you might not otherwise consider. You will know exactly how the framed piece will look in your home, before we begin to frame your piece. How Does Mobile Framing Work? Call Us. We’ll do a short phone interview and ask a few questions to make sure we understand your needs, and make an appointment to meet at your location. We bring the matt and moulding samples and lay them out in your space. You make the decision for the frame, matt and glass; and we’ll agree on a price for the work. We frame your item in our workshop. When your frame is ready we’ll call you. You can either pick it up at our The Framer, or arrange a convenient time for delivery and installation, if necessary. Mobile framing is also a great way to get just the right frame for mirrors that may be permanently mounted in your home, office or commercial space. Learn more about Mirrors and Whole Wall Mirrors here. 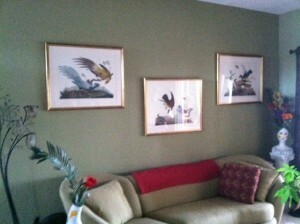 Mobile framing is the best way to get a frame that looks perfect in your home or office environment.